Day Of Toolmaking 2018 - WHAT IS MATCHMAKING? 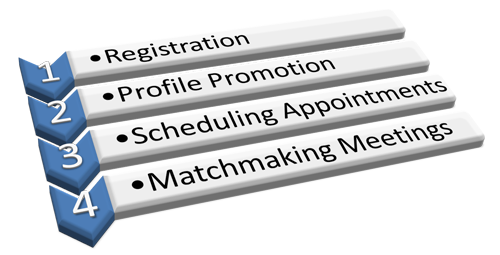 Once your company's profile is complete it will be visible to all participants, the event organizer, will promote it through all available channels. A few days before conference starts we will email your personal meeting schedule with the names of your matchmaking meeting partners and other deyails.